Charles Marohn, president of Strong Towns, a national nonprofit working to strengthen financial resilience in America’s towns and cities, will serve as keynote speaker and lead a break out session in Spearfish, SD on September 13, 2017. His presentations are part of the 2017 South Dakota Planners Association and Western Planner “Partners in Progress” Conference, which will take place at the Spearfish Holiday Inn & Convention Center (305 N 27th St). 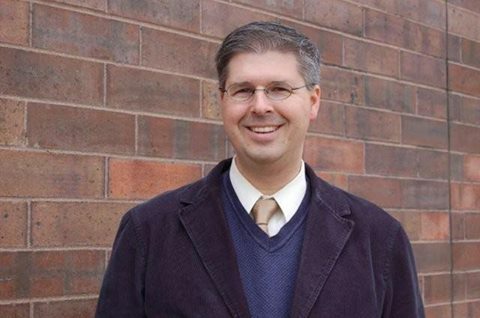 Mr. Marohn’s morning keynote will address the questions that so many towns are asking themselves today: Why are we so short of resources despite decades of robust growth? Why do we struggle at the local level just to maintain our basic infrastructure? What do we do now that the economy has changed so dramatically? The answers lie in the way we have developed; the financial productivity of our places. Charles Marohn will offer answers to these and more questions in a robust presentation concerning land use, municipal finance and how to build strong places. In the second half of the presentation, Mr. Marohn will specifically speak about issues in Spearfish and open the floor for discussion with attendees. Mr. Marohn will also lead an afternoon breakout session about infrastructure spending. For more than six decades, local governments have been accustomed to building infrastructure and expanding existing systems. While liabilities have grown, transportation funding has not kept up. Now there is a desperate need for local governments to change their approach. Mr. Marohn will address these issues in his presentation and discuss the need to shift strategy from an emphasis on continuous expansion to a more mature focus on maintenance and maximization of existing infrastructure. In difficult economic times, this is a challenging, but necessary, realignment. Known as "Chuck" to friends and colleagues – Marohn is the founder and president of Strong Towns. Chuck is a Professional Engineer (PE) licensed in the State of Minnesota and a member of the American Institute of Certified Planners (AICP). He has a Bachelors degree in Civil Engineering from the University of Minnesota's Institute of Technology and a Masters in Urban and Regional Planning from the University of Minnesota's Humphrey Institute. He is the author of Thoughts on Building Strong Towns Volumes 1 and II, as well as A World Class Transportation System. He hosts the Strong Towns Podcast and is a primary writer for Strong Towns’ web content. He has spoken in dozens of towns and cities across North America, and speaks regularly for diverse audiences and venues. Chuck Marohn, the executive director of Strong Towns, explains the difference between a road, which is a connection to two place and a street, which is a network of activity. He stresses the importance of returning roads to towns for community and economic development. Learn more about the work of Strong Towns at StrongTowns.org.